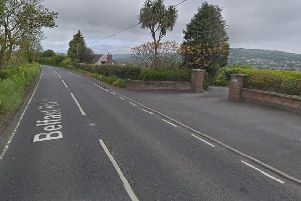 A Mid and East Antrim councillor has expressed concern that a claim of intimidation could be used by some as a fast track method of gaining sufficient points to secure a Housing Executive home. Speaking at the presentation of NIHE’s latest investment plan to Council last week, Cllr Ruth Wilson queried that a person who ‘says’ they have been the victim of intimidation “gets 200 points and gets in”. Responding, NIHE North Regional Manager, Frank O’Connor, pointed out that DSD consultation into social housing allocation had the potential to see points awarded under the category of intimidation “reduced or eliminated”. In the meantime, he said a claim made to NIHE of intimidation required “a fair amount of supporting evidence” and that the person making such a claim would have to be “at threat of serious injury or worse” to get 200 points. Under the system, points are awarded to determine position on the waiting list under categories of intimidation, tenure insecurity, housing conditions, and health/social wellbeing.